The weeks are getting closer to when my newest addition to my family will be here, at the end of next month! I can't tell you all how excited and nervous I am at the same time. We haven't had a newborn in our house in over seven years. So it's been a while, but I can't wait to start this baby stage again. As a mom with two kids and one on the way, I remember vividly how my nighttime routines would go with my two other kiddos. We actually were pretty lucky because my daughter first slept through the night at three weeks and my son was at six weeks. Now this was when they were newborns. As they got older, although they slept through the night once they were sleep, putting them to bed was another thing. We used a couple of musical mobiles for both of them, which worked pretty well. The light kept them busy looking at something shiny while the music kept them entertained. I few weeks back I received Cloud b's Twilight Turtle Tunes T3. This is the first Cloud b character that allows wireless bluetooth technology. I don't know about you, but this just seemed pretty cool. I love that Cloud b is keeping some of their products up with the latest technology so that it makes it easier for mommy to access when putting our little ones to sleep. By using a free pre-app (for both IOS and Andriods) from Cloud b, I can choose from a pre-set library that has different melodies and sounds that will easily put my little one to sleep. 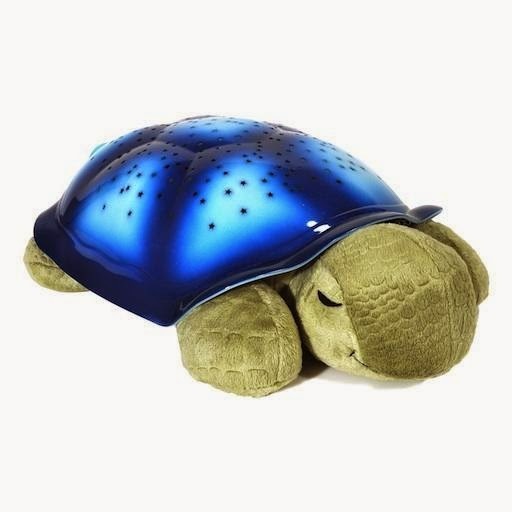 Not only does it have lots of songs and sounds for you to choose from, one of the best parts about this turtle is that it lights up with star constellations so that your little one has something to look at while trying to fall asleep. This will definitely help so much at bedtime for those of our little ones who are afraid of the dark. Not only is this turtle already set up in our nursery, but I've tried it out a few times and I'm a huge fan. Having this in our nursery and already have tested it out so that I know how to use it once my little one gets here makes me feel a lot better and gives me hope that we'll get lucky with another newborn who will sleep through the night. The Twilight Turtle Tunes T3 retails for $64.99, you can find this product and other calming and soothing animals by visiting Cloud b online. Disclosure: All opinions are my own. I received Twilight Turtle Tunes T3 at no cost for the purpose of this review. No other compensation was received.